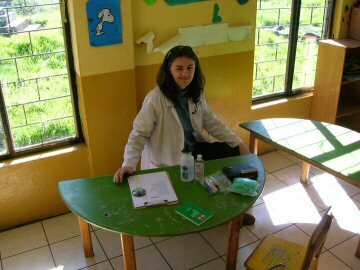 Several months ago, I was participating in a medical service project in Ecuador. 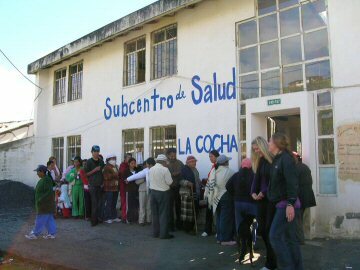 One day we had set up a little clinic in a school in the foothills of the Andes overlooking the city of Quito. It was pouring rain and cold at 10,000 feet. 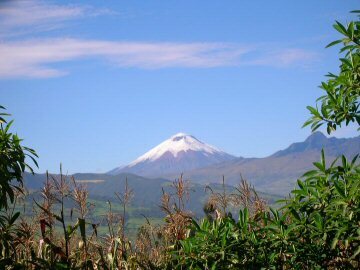 Even at the equator it is still quite cold at this altitude. A mother left our clinic and started up the hill, she had four tiny children with her and was nine months pregnant with the fifth. They walked up the muddy road with no rain gear. Suddenly the little boy came running back down the hill yelling and crying "Mi mami se desmayó" "My mother has fainted." I climbed up the hill and the mother was on the ground in the mud with rain water running on her. The other children were crying and the oldest girl of about five was trying to wipe the mud off with a dirty sweater. Of course, there is no 911 in this remote region as in the US. You can't just call for a nice clean ambulance to come. The doctor and I managed to get her to her feet. She did not talk and had a glazed look in her eyes. We dragged/walked her up the mountain and the children led us to a one room cinder block hut-home of six people. We left her there and found a neighbor who would hike down to a store and try to call her husband from work. It is quite different from an emergency in the United States. Moving overseas? Use these links to learn more about the country you are visiting. What Happens When a Cow Dies? Am I Talking to ... Myself? Poverty in India: A little TV tonight?